Sokoto Government to spend 751 million naira on orphans during Ramadan – Royal Times of Nigeria. 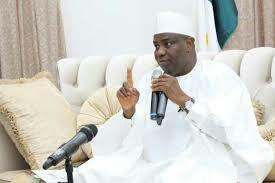 Sokoto State Government has earmarked seven hundred and fifty-one million naira for orphans and less privileged persons in the ongoing Ramadan fasting and the forthcoming Eid-el-Fitr celebration. Sokoto State Commissioner for Religious Affairs, Alhaji Mani Katami, disclosed this to newsmen in Sokoto today. He said the packages, which are in three categories, will assist the less privileged to fast and celebrate the forthcoming Sallah with a relative ease. The commissioner said under the first category, the state government has earmarked three hundred million naira for the operations of the three hundred and eleven Ramadan feeding centres across the metropolis. In the second category, he said N235 million was earmarked for the procurement of 12,500 bags of assorted grains which will be distributed to district and village heads, Imams of Friday prayer Mosques, orphans, and Islamic organisations, among others. Katami said N216 million was earmarked for the State Zakkat and Endowment Commission to purchase food and clothes, to donate to 18, 200 orphans and other needy persons. The commissioner commended Gov. Aminu Tambuwal, for making the welfare of orphans and other less privileged persons in the state, a top priority.